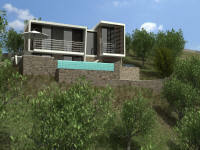 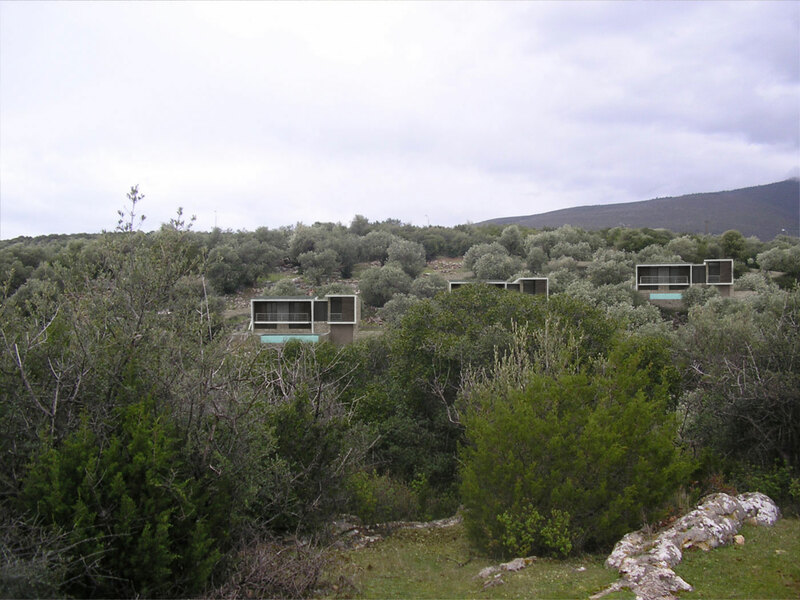 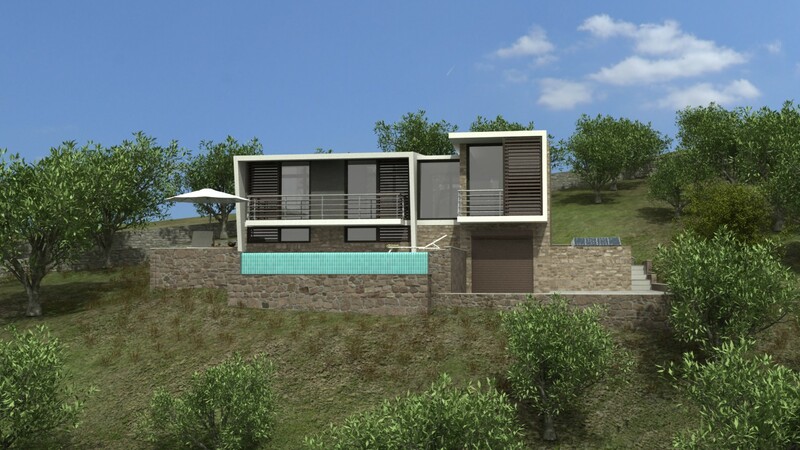 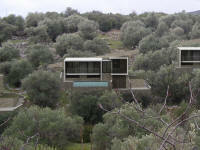 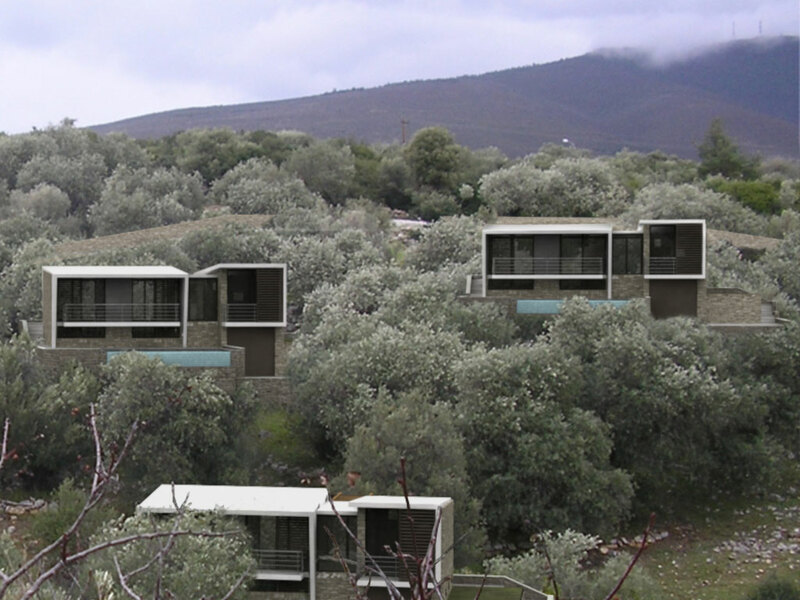 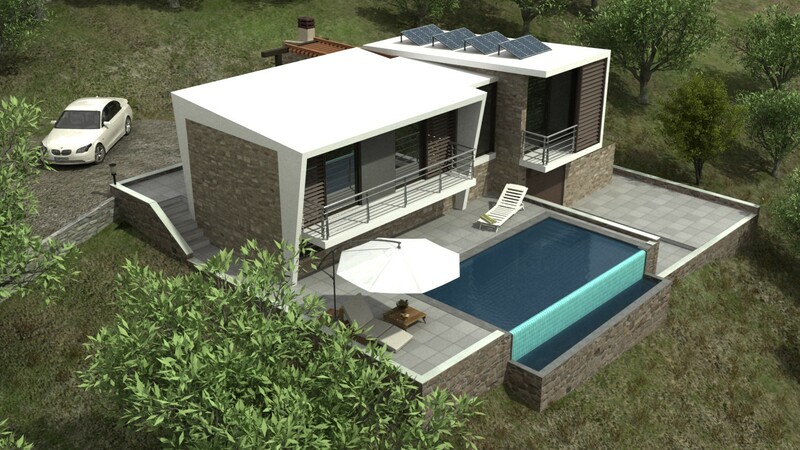 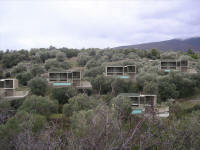 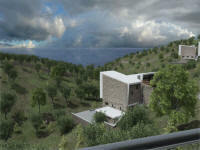 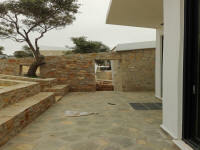 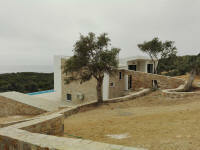 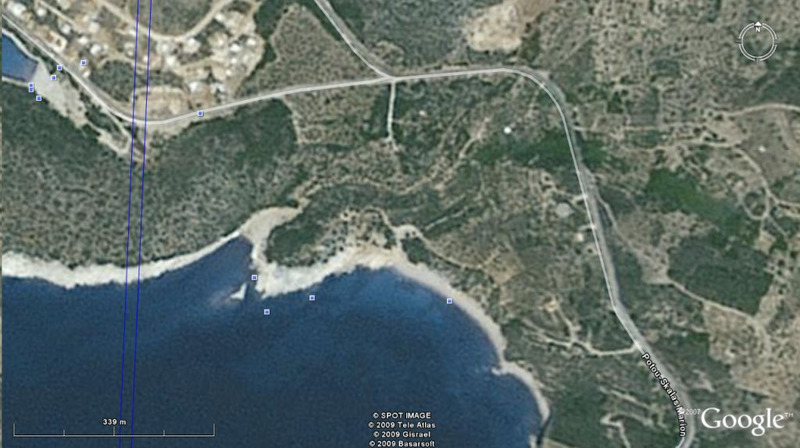 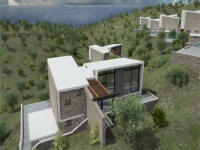 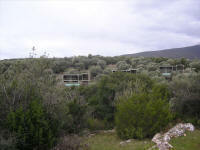 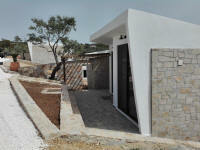 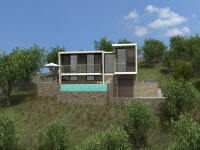 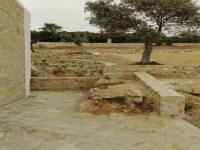 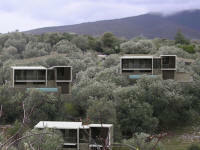 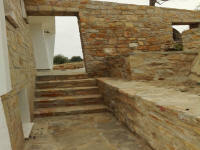 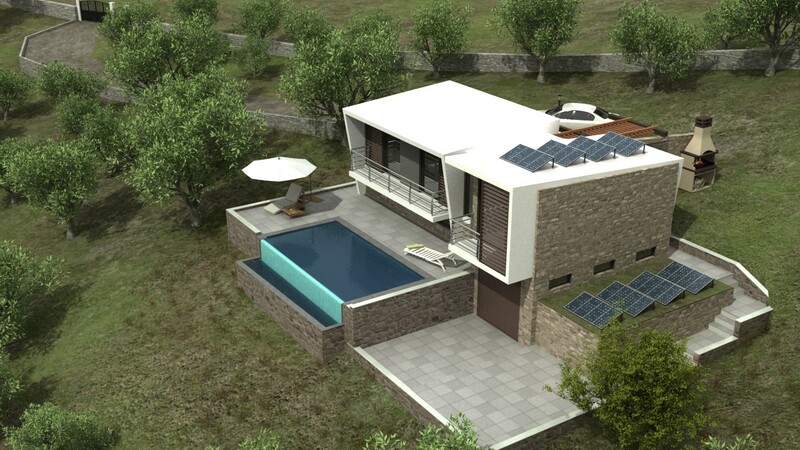 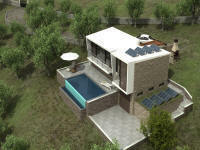 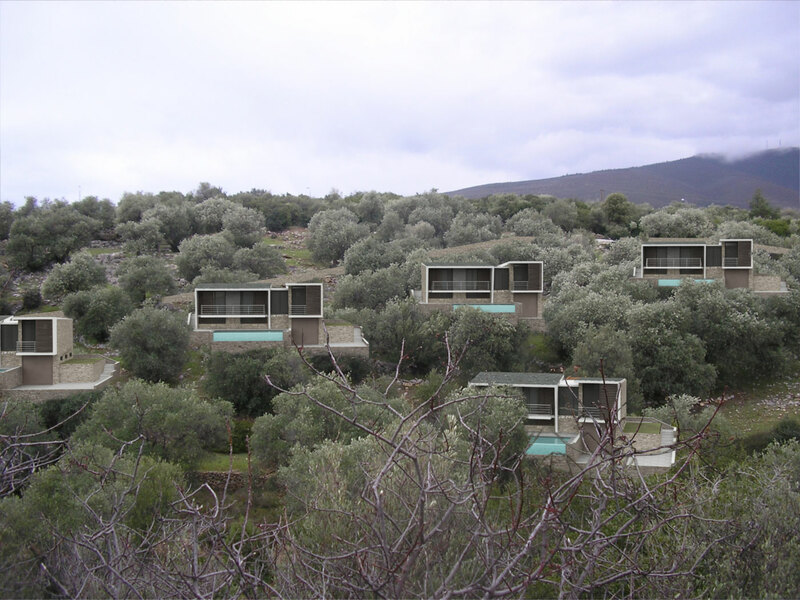 The settlement of 6 „modern“ villas located on a hill with olive groves, in a plot 15.600str. outskirts of the seaside village Skala Maries, in the south of Thassos island, Greece, with close panoramic views to the sea, next to a famous archaological site with a pottery work and winery older than 400bc. 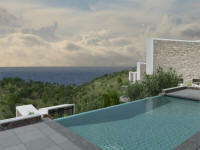 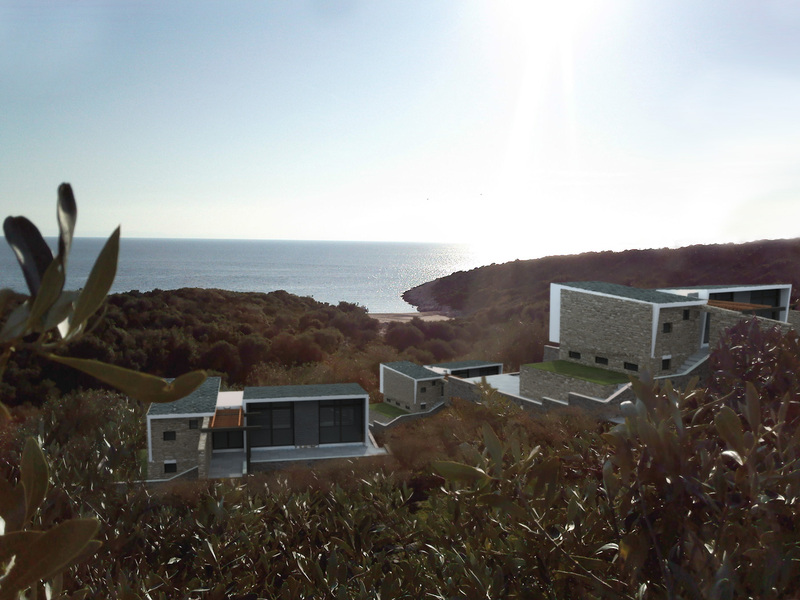 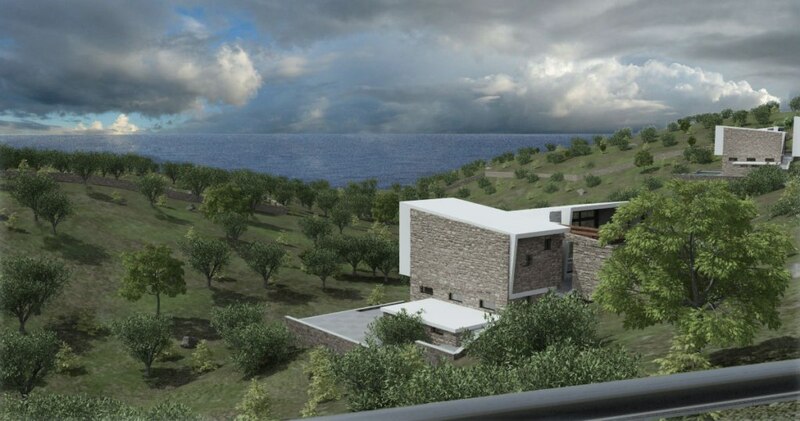 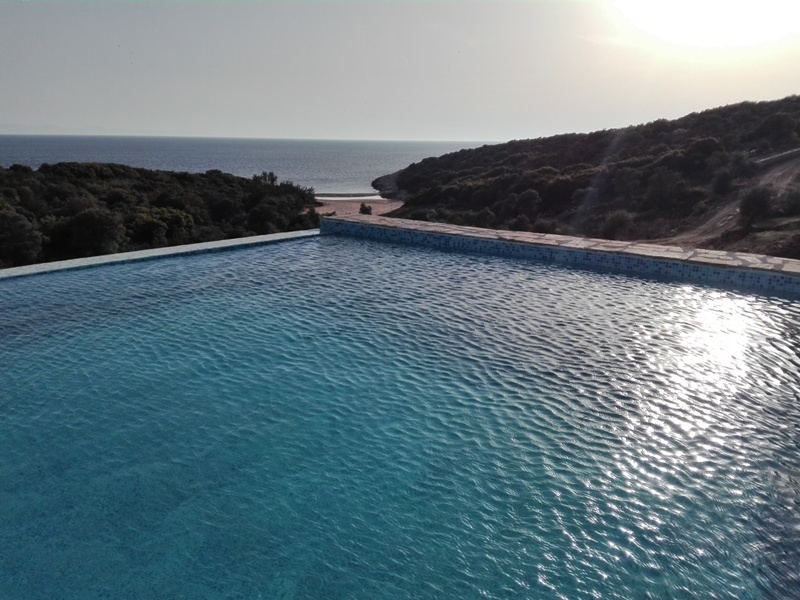 All the villas have a private swimming pool and will be constructed amphitheatrical using local stone for landscaping, which features its own private sandy beach. 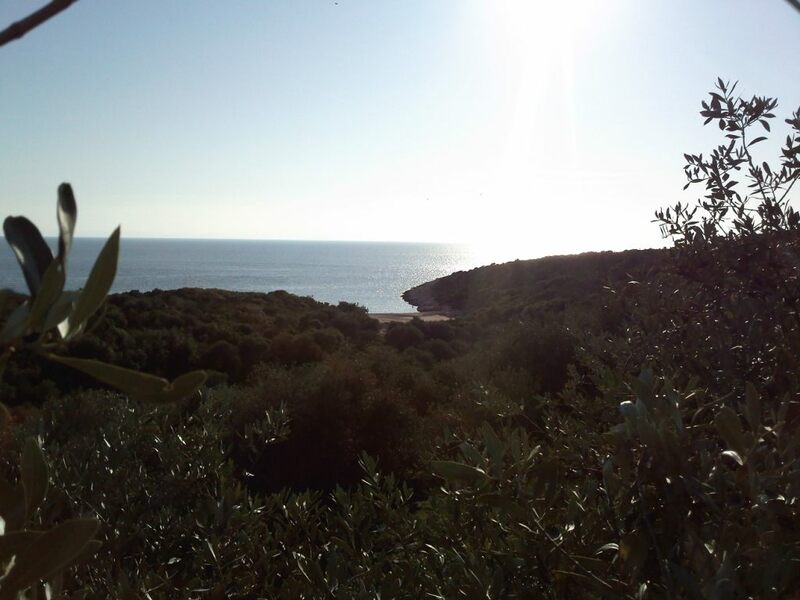 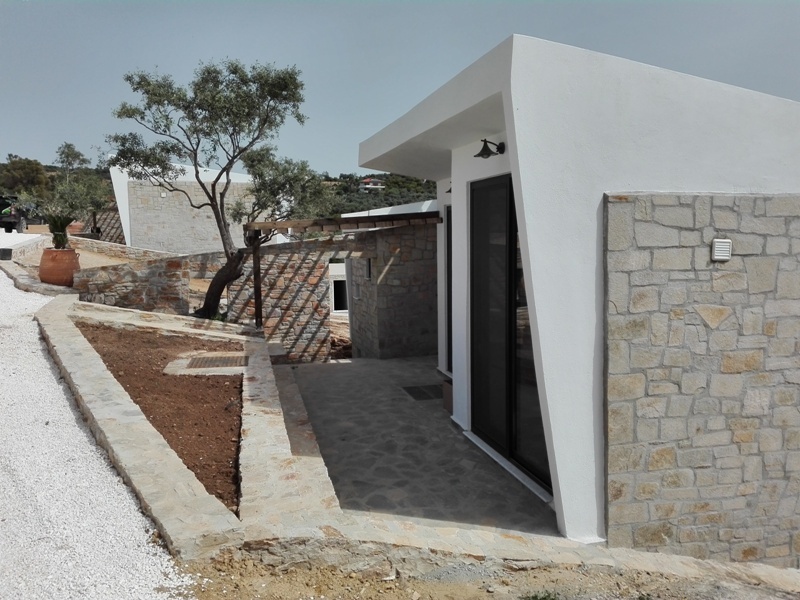 This private land is full of olive trees and the owners of the villas will enjoy maximum privacy, although it is very close to the village Skala Maries. 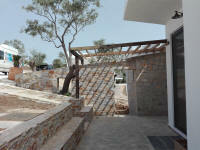 All the villas have an endless view to the sea from the living room and the swimming pool. 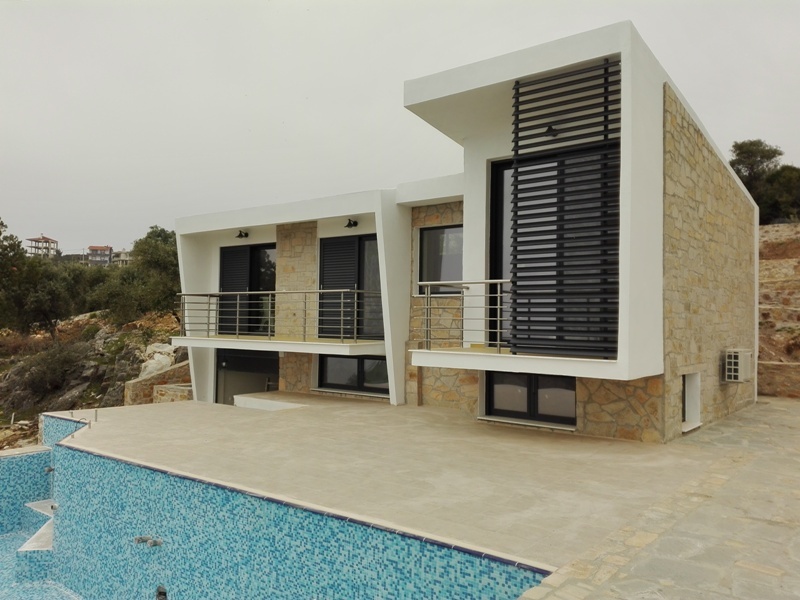 The architectural design is based on the “modern” architectural style and the main construction materials are stone, aluminum, wood and glass, in a very successful combination of modern with traditional. Die Siedlung von 6 "modernen" Villen auf einem Hügel mit Olivenhainen, in einem Plot 15.600str. Rande der Küstenort Skala Maries, im Süden der Insel Thassos, Griechenland, mit engen Panoramablick auf das Meer, neben dem berühmten Archäologischen Website mit einer Töpferei Arbeit und Weingut älter als 400bc. 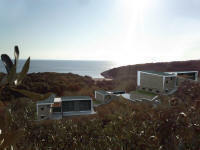 Alle Villen verfügen über einen privaten Swimmingpool und werden gebaut werden Amphitheaters aus lokalem Stein für den Landschaftsbau, die ihren eigenen privaten Sandstrand verfügt. 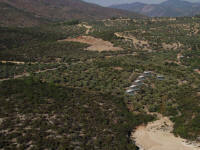 Diese private Land ist voll von Olivenbäumen und die Eigentümer der Villen wird ein Maximum an Privatsphäre zu genießen, obwohl es sehr nahe am Dorf Skala Maries ist. 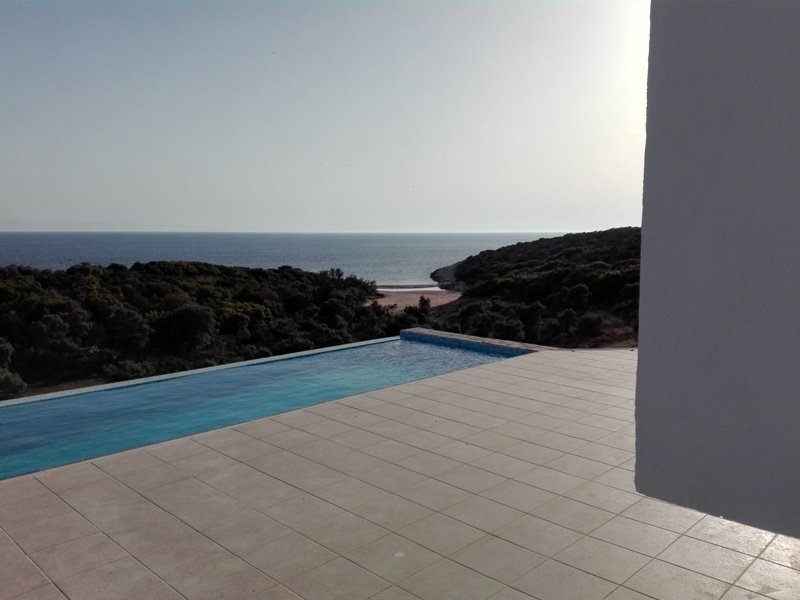 Alle Villen verfügen über einen endlosen Blick auf das Meer aus dem Wohnzimmer und dem Schwimmbad. Der architektonische Entwurf basiert auf dem "modernen" Architektur und die wichtigsten Baumaterialien sind Stein, Aluminium, Holz und Glas, in einer sehr gelungenen Kombination aus moderner mit traditionellen. 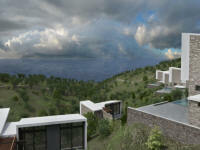 Visit also: NEDON real estate Portal of Thassos real estate investment in thassos and kavala www.thassos-island.gr PLANETPROPERTY - Real Estate Greece. 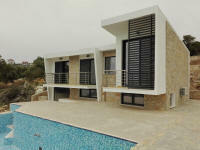 Directory for Real Estate listings for sale. 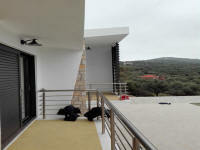 From an apartment, over luxury real estates, commercial properties and plots - europe and worldwide.